Victor (Eric Braeden) believes that he’s covered his tracks on ‘The Young and the Restless’. But thinking that Chloe (Elizabeth Hendrickson) has been neutralized is a mistake. As this stretched storyline continues to unfold all of Genoa City will learn that the ‘Moustache’ was linked to his own son’s killer. 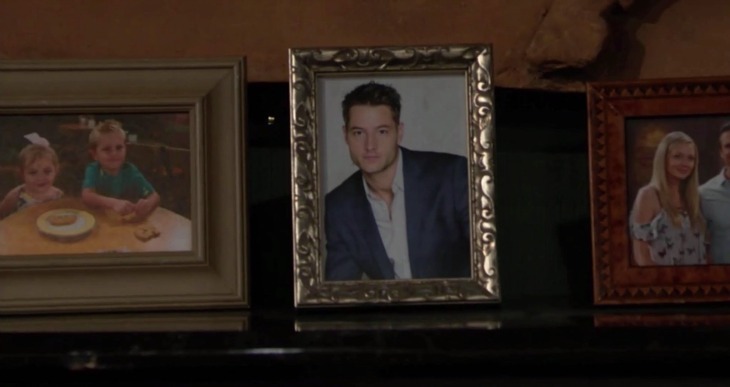 Adam (Justin Hartley) was believed to have been killed last September. The word ‘believed’ is key in that last sentence and will be explored further down below. As of late-May 2017, viewers learned that Victor has been keeping Chloe contained in Dr. Harris’ (Ron Melendez) home. The good doctor was paid by Victor to authorize the early release of a woman who was mentally unstable. Of course that woman was Chloe and as Y&R devoted Y&R fans recall, Miss Mitchell then helped frame Adam for the faux murder of Constance Bingham (Sally Kellerman). Adam’s later escape from prison, via Victor’s hands, incensed Chloe and led her to apparently kill him. Okay, the aforementioned focus on the word ‘believed’ and the last sentence’s inclusion of the word ‘apparently’ were intentional. Both words imply doubt, while also creating an escape route for Victor. Yes, Victor currently looks like the worst lout imaginable. However, if Adam isn’t dead, then the ‘Black Knight’s’ past actions didn’t result in permanent results. The soap world allows for improbable, or impossible events to take place and then to be corrected based upon varying factors. That’s why the rumored Adam recast makes sense, as writing that critical character back into the frame would allow this open-ended storyline to be resolved. Whether Hendrickson will follow her co-star and almost on-screen husband Greg Rikaart (Kevin) out of the cast in August remains to be seen. She’s an electric actor, whose Chloe battles with Adam (as played by Hartley and Michael Muhney) and Victor were outstanding. Adam’s resurrection would also allow Chloe to remain viable, rather than imprisoned. As for Victor, he’ll surely remain an object of ongoing suspicion in the minds of many Genoa City residents regardless of what happens. But, he wouldn’t be seen as the person whose actions enabled his own son’s murder. Related: The Young and the Restless Spoilers: Chelsea Finds Chloe – Will She Turn Tables On Adam’s Killer? Emmerdale Spoilers: Aaron and Robert To Split, Couple Can’t Survive Rebecca’s Pregnancy?